Every May, we have a chance to promote road safety and memoralize cyclists who have lost their lives in a crashes. Details on the "Ride of Silence" came across my desk from our friends at BikeWalkLee, a coalition of safety advocates in Lee County. They are an active group who support safe practices and shared responsibilities among all road users, including motor vehicles, pedestrians and bicyclists. The “Ride of Silence" is slow-paced and done in silence. It has become an international annual event honoring cyclists who were killed or injured while riding on public roadways. Those of us who enjoy riding know that cycling safety in Florida is a huge issue. Our state ranks worst in the country with the highest death rate for nine consecutive years. Already this year in Lee County, four cyclists have died in crashes. 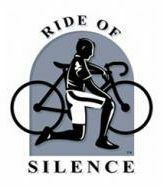 The Ride of Silence is an opportunity to send the message to motorists that we have the same legal rights to the road as they do. Notes: We will gather at 6:45 to provide route information and allow time for a short memorial announcement to commemorate our fallen riders. If you have a red or black arm band please bring it for the ride. Departs 7 PM sharp from the Publix at Caladesi Shopping Center, 902 Curlew Road, Dunedin FL. 10 mile ride at 10-12 MPH. Helmets required. Police escorted. Riders of all abilities are welcome to participate. Notes: Departs 7 p.m. sharp from Centennial Park, Downtown Ft Myers, 2000 W. 1st Street under the bridge at Heitman & Bay Streets. 8 mile ride at 10-12 MPH. Helmets Required. Police Escorted. Notes: Meet at First Presbyterian Church 175 Lake Hollingsworth Dr. At 6:45 pm ride starts at 7:00 pm. 3 laps around lake at 10 to 12 mph. Helmet required. Notes: The Manasota Ride of Silence is jointly organized by the Sarasota Manatee Bicycle and Village Idiots Cycling Clubs. The Manasota Ride of Silence begins at the Robarts Arena, 3000 Ringling Blvd., Sarasota FL 34237. We will form up into groups between pace vehicles in the unpaved northwest parking lot. We are pleased, that again this year, Blue Skye Pipe and Drums will play. Notes: 10 mile ride around Lake Jackson starting from Sebring Library parking lot. Ride leaves at 7:00. Pace will be 10 miles per hour. Notes: At least 12 paid with their lives on Hillsborough County streets - the trend needs to be reversed!